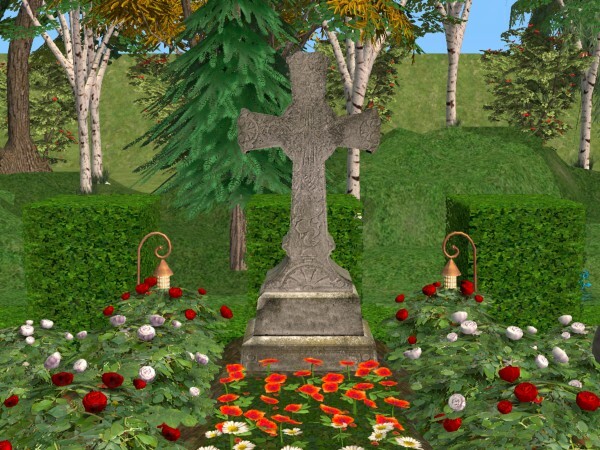 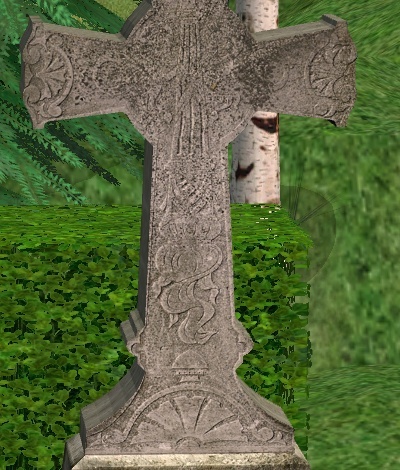 The grave cross has beautiful ornaments inspired by Celtic and Christian art. 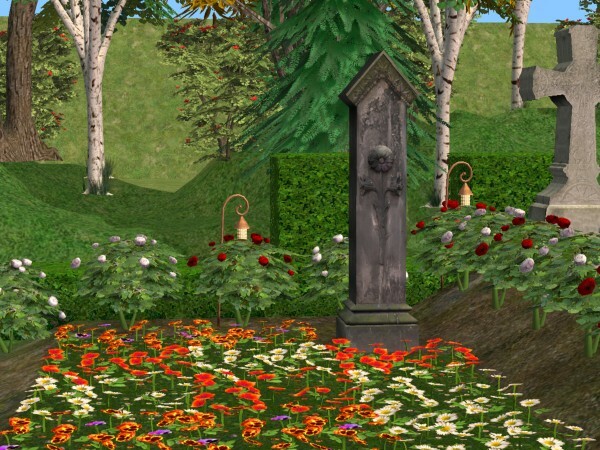 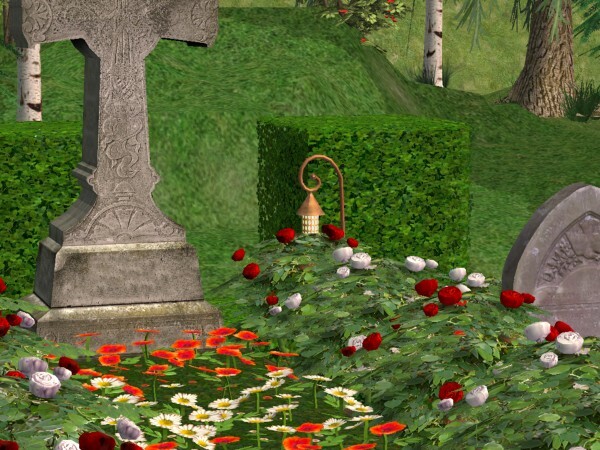 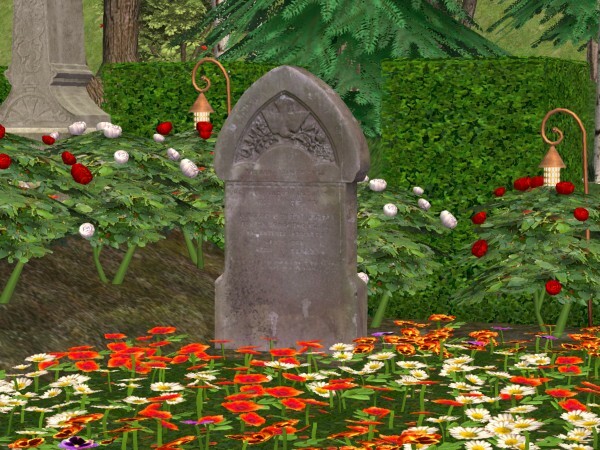 The carved flowers of the second headstone are also a pleausre for your sims' eyes. 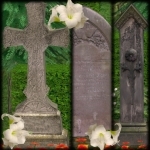 The lat and smallest stone is rather simple and weatherbeaten but the dove as symbol of peace and freedom will mollify the sorrow of the bereaved.